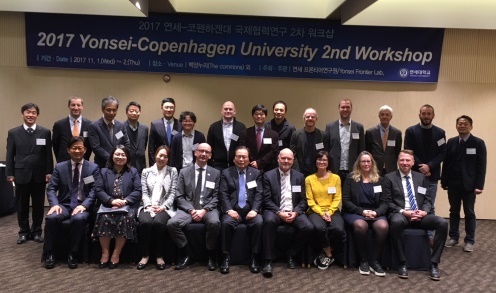 On 1-2 November 2017 the second Yonsei-UCPH workshop was held in Seoul. 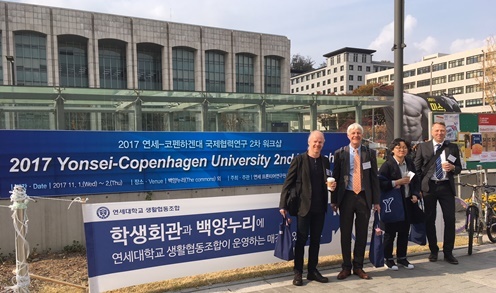 A UCPH delegation of 13 scholars led by Pro-rector Thomas Bjørnholm went to Seoul and took part in workshops with colleagues from Yonsei University. Besides building on research areas from the previous workshop - Social Welfare, the Arctic and Plant Science - a new theme, Smart Cities, was added to the programme. The workshop on the Arctic had productive and fruitful discussions with a shared goal of reaching collaborative results. Next step will be development of common research projects, organizing focused workshops and developing strategies for fundraising. As a research field, smart cities imply the need for interdisciplinary approaches that bring together various technical and social science questions and competencies. The session demonstrated both the prospects and the challenges of such interdisciplinary dialogue with presentations from mathematics, engineering and information science through to urban planning, landscape architecture and sociology. For future conversations other relevant disciplines such as economics, law, political science and various branches of the humanities could be included. Going ahead, it will be important to clarify further the different research partners and priorities of the two universities, in order to enable a productive matching of competences and interests. Yonsei’s newly launched Research Institute for Future Cities and Society could become an interesting platform for future collaboration. The workshop on social welfare showed a large overlap in areas of interest and was characterized by an intense, enthusiastic and focused discussion. As an outcome the group identified four topics for future collaboration as well as initiators for each topic. 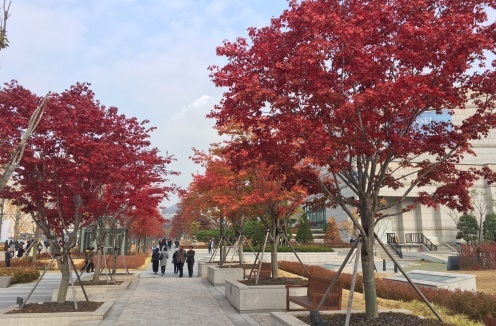 Joint research between individual scholars from Systems Biology, Yonsei University and the Department of Plant and Environmental Sciences, University of Copenhagen, is already well established. Building upon these existing ties, the aim is now to expand the field and explore possibilities for collaboration in related areas within Plant Science, Life Science, Biochemistry and Biotechnology. During his visit Thomas Bjørnholm also met with leadership representatives from the College of Life Science and Biotechnology and the Song-Dang Cancer Research Institute to discuss possibilities for including these research fields in the Yonsei-UCPH collaboration. Meanwhile conversations between scholars from UCPH and Yonsei University on the already established themes will continue. There are initial plans to organize a third workshop in Copenhagen in 2018.